Dynamite proudly presents this extremely rare 'virgin art' variant edition featuring the out-of-this-world artwork of Gabriel Hardman! THE DEATH OF MARS! Centuries have passed and time has taken its toll. Conflict burns across the landscape of Barsoom. A war of supremacy and genocide at the hands of a brutal despot has brought the planet to the edge of collapse. A search party has finally located an aged John Carter and Dejah Thoris, living in quiet seclusion on a desert moon, in perpetual mourning for a lost son. How could they be Mars' last hope? 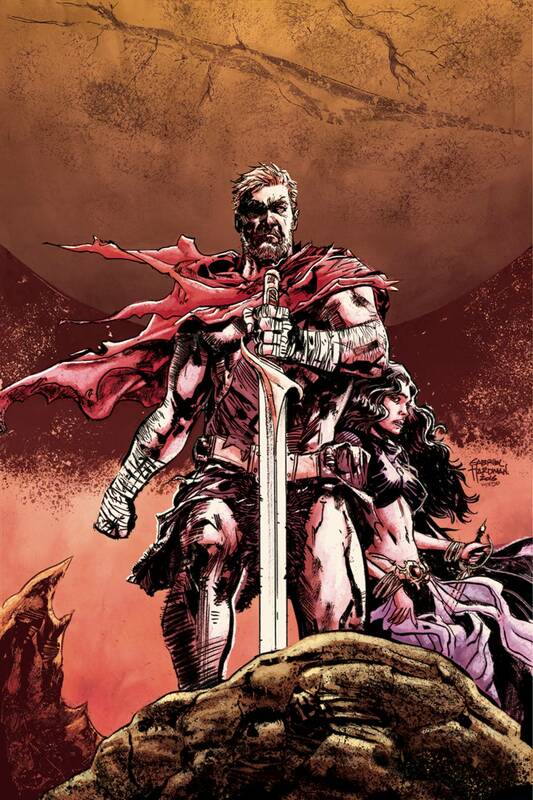 Introducing a John Carter story like you've never seen before, from writers Brian Wood (Star Wars, DMZ, Northlanders) and Alex Cox (Adventure Time), and artist Hayden Sherman (Civil War II: Kingpin).